There will be opportunities for playing time in the Washington Redskins’ pass-catching corps, and while it was just the first preseason game – officially a 26-17 loss to the New England Patriots – there was some reason for optimism given the play of some of the wide receivers fighting for roster spots and playing time. Let’s take a look at the Patriots-Redskins Preseason matchup. 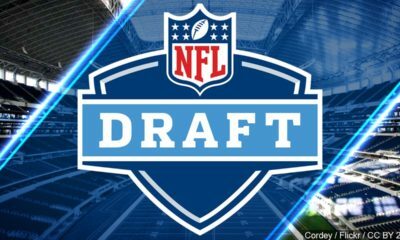 Undrafted free agent Cam Sims, a product of the Alabama powerhouse, led the team with 74 receiving yards but showed his big 6-foot-5 frame could be a weapon opposite Josh Doctson. 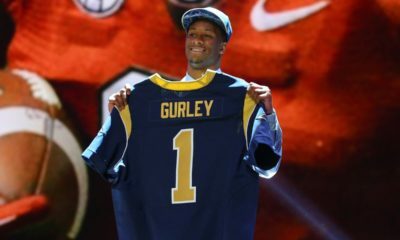 Robert Davis, a 6th-round pick a year ago, showed some signs, as did Maurice Harris, a returnee who caught one of two touchdown passes thrown by Thursday’s starting quarterback, Colt McCoy. 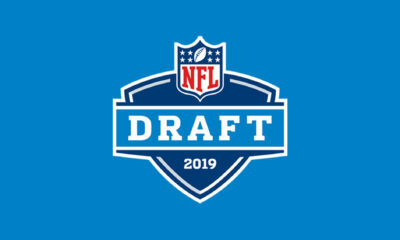 Throw in former Ram receiver Brian Quick, who is trying to revive his career, to a mix that includes slot star Jamison Crowder, the aforementioned Doctson and former Seahawk Paul Richardson, and suddenly things aren’t looking quite as bleak on the outside in D.C. It should be an interesting camp to see who steps forward the most. Yes, it’s August, and yes, it’s just the first preseason game. But there could be some concern after the early defensive performance from the Patriots. Quite a few first-teamers and guys likely to make the roster were honestly picked apart by McCoy and the Redskins on multiple scoring drives. Stephon Gilmore, currently tabbed to start on one side at corner, got burned for a big pass play, as did starting outside linebacker Kyle Van Noy. On the other side of the ball, Brian Hoyer, vying for the backup QB job behind Tom Brady, had an erratic start playing primarily against the Redskins’ second-team defense, completing just three passes for nine yards in the game’s first 27-plus minutes. 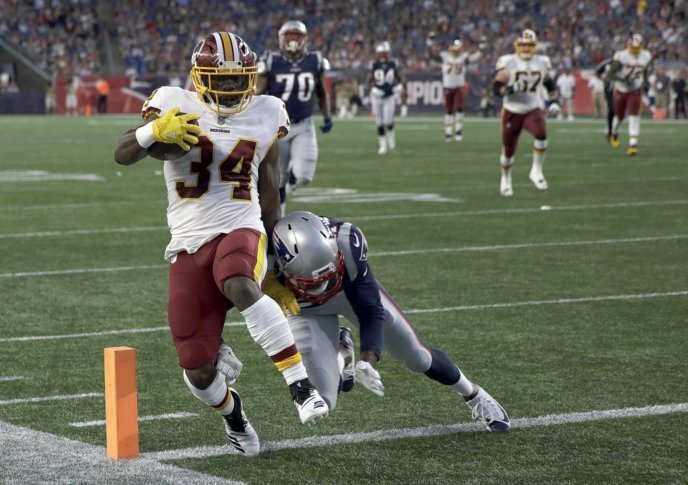 He ultimately played into the third quarter and wound up leading a couple of scoring drives as the Redskins dipped further down their depth chart. 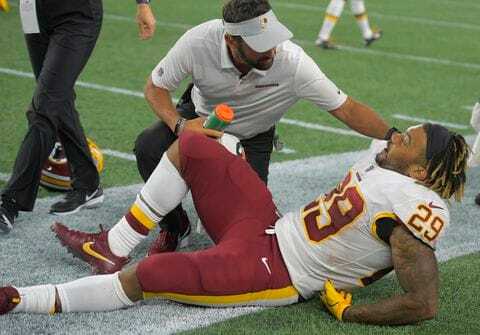 The worst news – as it is in any preseason game – had to do with a knee injury to the Redskins’ promising rookie running back, Derrius Guice. He left the game late in the first quarter with a hyperextended left knee and is due to undergo an MRI today (Friday, August 10). 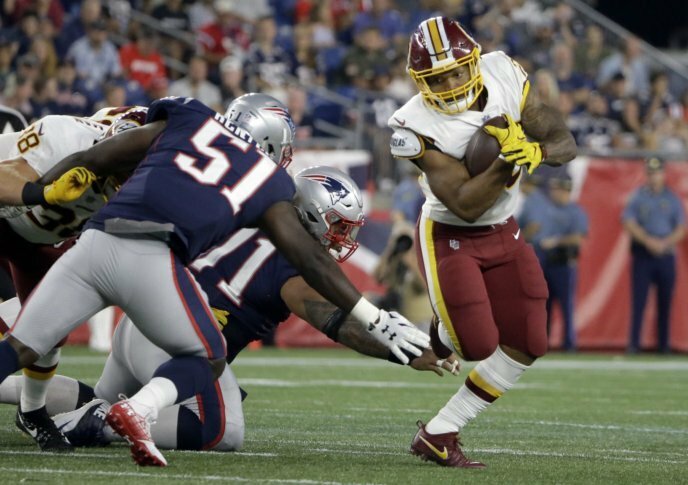 Many already have handed the starting running back job to Guice, particularly with third-down pass-catching specialist Chris Thompson still working his way back from injury. Needless to say, there will be a number of anxious folks waiting on the MRI results.